A native of South Carolina, Dr. Dorn holds a Bachelor of Science degree from Clemson University and Doctorates in Medicine and Dentistry from the Medical University of South Carolina in Charleston. He has been a resident of Florida since 1994 and has been active in numerous medical missions to Central America for the last 20 years. Dr. Dorn is a Tallahassee Medical Marijuana Doctor, and Chief Medical Officer with MMTC. He currently practices from our Tallahassee medical marijuana clinic and closely oversees multiple locations including The Villages and Longwood/Orlando. Originally from Puerto Rico, Dr. Brendaliz Asencio is an Areas of Critical Need (ACN) certified primary care physician. She is fully bilingual, and has over sixteen years helping patents. Her background includes working as a general physician and correctional medicine. Dr. Asencio has witnessed the symptoms of depression and anxiety associated with chronic pain first-hand, and believes that medical marijuana is an excellent treatment option to control pain while alleviating these symptoms. 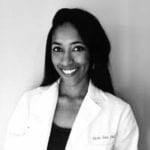 She is currently a Fort Walton Beach medical marijuana doctor. Dr. Michelle Beasley is a North Florida medical marijuana doctor, and the first medical doctor in Pensacola to accept new patients for treatment with medical marijuana. Currently she is most commonly treating patients with cancer, muscle spasms, and seizures, but is qualified and specially trained to work with patients with other conditions. Dr. Beasley has a background as a practicing pediatrician. Dr. Beasley brought her previous medical marijuana practice under the MMTC umbrella and now oversees our Pensacola location as a Pensacola medical marijuana doctor. Dr. Peter Curcione is a board certified orthopedic surgeon. With offices in Fort Myers and Lehigh Acres, Curcione has served patients in Southwest Florida since 1997. In a partnership with MMTC, Dr. Curcione is now a Fort Meyers Medical Marijuana Doctor. Dr. Dotson stumbled into medical cannabis in 2012 while traveling with his wife. When they returned to Washington State, Dr. Dotson decided to find out more about medical marijuana, eventually working in Seattle-area cannabis clinics. Now in Florida, he aims to use his expertise to help patients find the relief they seek. Dr. Dotson believes that is is his mission as a healthcare provider to empower patients to care for themselves when possible. He currently practices from our Tallahassee medical marijuana clinic as a Tallahassee medical marijuana doctor. Dr. Esther Echevarria graduated with honors from the internationally-renowned medical school at Universidad Autónoma de Guadalajara. 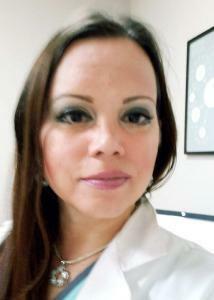 She has practiced as a General Practice Specialist in Tampa, Florida. Dr. Echevarria has 17+ years of diverse experience and is affiliated with St. Joseph’s Hospital acute care. Dr. Ellis currently has a concierge holistic medical practice and is a St.Petersburg (Pinellas County) medical marijuana doctor at our St. Petersburg medical marijuana clinic in Pinellas County near Tampa, Florida. Dr. Nagy Farag is an ER and family physician now practicing in our North Port medical marijuana clinic. He attended school and completed his residency Columbia university with a specialty in internal medicine, and has 35 years of professional medical experience. Dr. Farag is a lifetime member of the American Academy of Family Physicians, as well as the AAFP emergency medicine special segment. He is also an associate member of the American Society of Cosmetic Physicians. 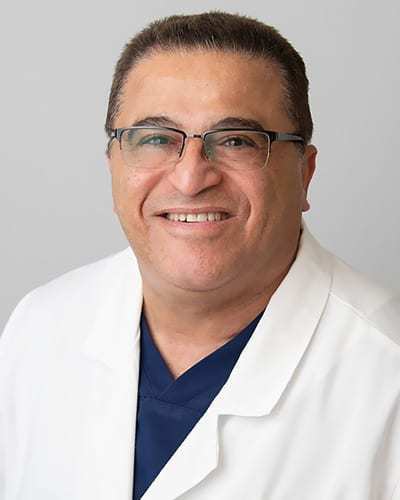 Dr. Farag has a passion in his work and puts an emphasis on treating his patients on an individual level, doing all he can to ensure their well-being. He is a North Port medical marijuana doctor in our clinic. Dr. Sander Fernandez, MD, is the Medical Director at Cannabis Card and Concierge Medicine Orlando. He received his Bachelor of Science degree from Florida International University in 2006, and his Doctor of Medicine from St. Matthew’s University School of Medicine in 2011. He completed his Residency training in Family Medicine at East Carolina University/Vidant Medical Center in 2014. Dr. Fernandez is Board Certified in Family Medicine. Dr. Fernandez is an experienced physician with a demonstrated history, skilled in Primary Medicine, Urgent Care, and Hospital Medicine. He is currently a member of the American Medical Marijuana Physicians Association. It is his mission to provide compassionate, patient-centered care by providing direct access to consistent, and effective medical cannabis. He will embrace, educate, and support this community regarding Medical Marijuana. Outside of work, Dr. Fernandez loves to go on adventures with his wife and children. He is currently a Winter Haven medical marijuana doctor in our Winter Haven medical marijuana clinic. Dr. Sander Fernandez, MD, is the Medical Director at Cannabis Card and Concierge Medicine Orlando. He received his Bachelor of Science degree from Florida International University in 2006, and his Doctor of Medicine from St. Matthew’s University School of Medicine in 2011. He completed his Residency training in Family Medicine at East Carolina University/Vidant Medical Center in 2014. Dr. Fernandez is Board Certified in Family Medicine. Dr. Fernandez is an experienced physician with a demonstrated history, skilled in Primary Medicine, Urgent Care, and Hospital Medicine. He is currently a member of the American Medical Marijuana Physicians Association. It is his mission to provide compassionate, patient-centered care by providing direct access to consistent, and effective medical cannabis. He will embrace, educate, and support this community regarding Medical Marijuana. Outside work, Dr. Fernandez loves to go on adventures with his wife and children. He is currently a Longwood, Orlando medical marijuana doctor in our Longwood,Orlando medical marijuana clinic. Dr. Leonard Fichter received his Bachelor of Science degree from John Carroll University, and his Doctor of Osteopathic Medicine from the College of Osteopathic Medicine in Des Moines, Iowa. His interest in medical marijuana stemmed from years of treating terminally ill patients and noticing the benefits for them . He now serves as a Panama City Beach Medical Marijuana Doctor. Dr. Douglas Hall was born in Indianapolis, Indiana in 1941. 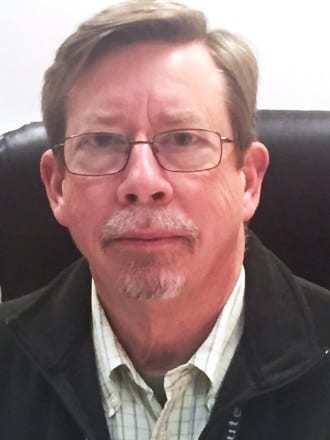 He received his undergraduate and medical degrees at the University of Florida, trained in functional medicine at the Institute of Functional Medicine in Gig Harbor, Washington, and served in the U.S. Air Force Medical Corp. Dr. Hall has 44 years experience in practice, with 25 in functional medicine. He is a member of the Age Management Medicine Group, the American Medical Association, the American Academy of Anti-Aging Medicine, the American Chiropractic Association Council on Nutrition, the Endocrine Society, and the Institute of Functional Medicine. In addition, he is a recipient of the Honor of the Diplomat of American Clinical Board of Nutrition. He currently practices as an Ocala medical marijuana doctor for MMTC. Dr. Douglas Hall was born in Indianapolis, Indiana in 1941. He received his undergraduate and medical degrees at the University of Florida, trained in functional medicine at the Institute of Functional Medicine in Gig Harbor, Washington, and served in the U.S. Air Force Medical Corp. Dr. Hall has 44 years experience in practice, with 25 in functional medicine. He is a member of the Age Management Medicine Group, the American Medical Association, the American Academy of Anti-Aging Medicine, the American Chiropractic Association Council on Nutrition, the Endocrine Society, and the Institute of Functional Medicine. In addition, he is a recipient of the Honor of the Diplomat of American Clinical Board of Nutrition. Dr. Carl Hardy is a graduate of The Ohio State University College of Pharmacy and practiced as a clinical pharmacist with an interest in improving cancer chemotherapy and pain management where he also learned of the beneficial medicinal properties of Cannabis and the Cannabinoids. He later attended Ohio State University College of Medicine and completed his post Doctorate Residency at The University of Florida, Gainesville with additional qualifications in Critical Care Medicine and Pain Management. Dr. Hardy is a Board-Certified Anesthesiologist. Dr. Hardy pioneered modern anesthesia services at Baptist Medical Center-Beaches as its first Chief of Anesthesia. Throughout his career while working in Florida hospitals and surgery centers, Dr. Hardy has taken on numerous additional roles for the benefit of developing care guidelines as an anesthesiologist and health care leader including serving on Medical Executive Committees and as a Member of the Hospital Board of Trustees. He has been recognized as a “Most Compassionate Doctor.” “I have been interested in the potential of marijuana as a medical treatment since those early pharmacy days researching treatments for nausea and vomiting and pain control in cancer patients. Now, after over 10 years as a pharmacist and 30 years as a successful anesthesiologist, I am interested in applying my knowledge and experience and insights as a certified provider of medical cannabis.” When he is not helping his patients feel better, Dr. Hardy enjoys spending time with his family and grandchildren, watching football, or listening to jazz. He is delighted to continue his unwavering commitment to his patients as a Jacksonville medical marijuana doctor. Dr. Carl Hardy is a graduate of The Ohio State University College of Pharmacy and practiced as a clinical pharmacist with an interest in improving cancer chemotherapy and pain management where he also learned of the beneficial medicinal properties of Cannabis and the Cannabinoids. He later attended Ohio State University College of Medicine and completed his post Doctorate Residency at The University of Florida, Gainesville with additional qualifications in Critical Care Medicine and Pain Management. Dr. Hardy is a Board-Certified Anesthesiologist. Dr. Hardy pioneered modern anesthesia services at Baptist Medical Center-Beaches as its first Chief of Anesthesia. Throughout his career while working in Florida hospitals and surgery centers, Dr. Hardy has taken on numerous additional roles for the benefit of developing care guidelines as an anesthesiologist and health care leader including serving on Medical Executive Committees and as a Member of the Hospital Board of Trustees. He has been recognized as a “Most Compassionate Doctor.” “I have been interested in the potential of marijuana as a medical treatment since those early pharmacy days researching treatments for nausea and vomiting and pain control in cancer patients. Now, after over 10 years as a pharmacist and 30 years as a successful anesthesiologist, I am interested in applying my knowledge and experience and insights as a certified provider of medical cannabis.” When he is not helping his patients feel better, Dr. Hardy enjoys spending time with his family and grandchildren, watching football, or listening to jazz. He is delighted to continue his unwavering commitment to his patients with his new office. Call to schedule an appointment to find out if you can benefit from this treatment option. Irfan Khan MD is board certified in Internal Medicine with more than 15 years of experience. 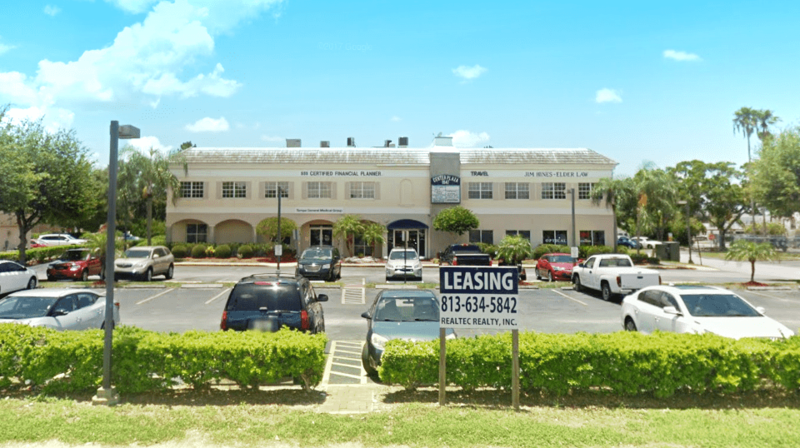 He has recently expanded to a beautiful new office located in West Boca Raton.You will be welcomed by our friendly and knowledgeable staff and you will treated as an individual rather than a number. Dr. Khan has partnered with MMTC for the treatment of patients that may need Medical Marijuana. Dr. Henry Kirsch received his degree from the Medical College of Georgia, and is currently a Fort Walton medical marijuana doctor. He has experience in Emergency medicine and specializes in internal medicine. Dr. Kirsch became interested in the medical marijuana field after exploring research on the use of THC and CBD as alternatives to pharmaceutical intervention for chronic pain and debilitating conditions. Dr. Jeffrey Leimbacher currently oversees our St. Petersburg location. Dr. Aleem Malik graduated from medical school in 1985 and has 33 years of diverse experience. He specializes in Family Practice medicine. He currently practices from the Gainesville and Jacksonville Beach medical marijuana clinics. Dr. Potter was born and raised in Miami, Florida. As a teenager, he moved to Los Angeles to pursue a career in acting. He attended The University of Southern California for his undergrad degree in Psychobiology. He moved to New York where he earned his medical degree from The Albert Einstein College of Medicine. From 1990-2009, Dr. Potter had a private Family Medicine practice as well as a position as an attending Emergency Specialist at St. Luke’s Hospital in San Francisco. Since his return to Florida in 2010, Dr. Potter has been a practicing at the Neighborhood Health Clinic, Advance Medicine of Naples, and has most recently opened his own private practice, AIM Naples (Advanced Individualized Medicine of Naples). Dr. Potter is a Naples medical marijuana doctor, and has graciously integrated MMTC into his practice, making it a Naples medical marijuana clinic. Dr. Potter was born and raised in Miami, Florida. As a teenager, he moved to Los Angeles to pursue a career in acting. He attended The University of Southern California for his undergrad degree in Psychobiology. He moved to New York where he earned his medical degree from The Albert Einstein College of Medicine. From 1990-2009, Dr. Potter had a private Family Medicine practice as well as a position as an attending Emergency Specialist at St. Luke’s Hospital in San Francisco. 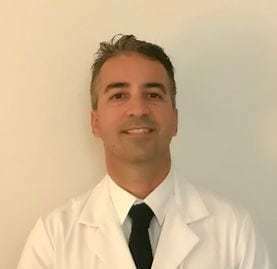 Since his return to Florida in 2010 Dr. Potter has been a practicing at the Neighborhood Health Clinic, Advance Medicine of Naples, and has most recently opened his own private practice, AIM Naples (Advanced Individualized Medicine of Naples). Dr. Bruce Rubinowicz received his medical degree from Chicago College of Osteopathic Medicine, and completed his neurology residency at the University of Texas and a sleep medicine fellowship at Presbyterian Hospital of Dallas. Dr. Rubinowicz had a private practice in the Nashville area for 18 years before moving to South Florida, and has well over 20 years of experience. His care philosophy is to be a patient advocate, providing full service and care to avoid unnecessary or costly referrals and outside testing. His partnership with MMTC allows Dr. Rubinowicz to provide individualized treatment without sacrificing the quality tools and resources of a bigger clinic group. He is a Plantation and Aventura medical marijuana doctor, focusing his efforts near Miami, Florida. His practices consist of an Aventura, Plantation, and Ft. Lauderdale medical marijuana clinic, all of which are medical marijuana clinics near Miami and in South Florida. Sasha Saidi works collaboratively with Dr. Dorn to provide cannabis education, as well as to thoroughly evaluate and treat each of their patients. She has completed extensive research in order to provide accurate and up-to-date information on how medicinal cannabis can be most beneficial for an individual’s unique medical history. From the beginning of her academic journey, Sasha has maintained a passion for holistic health that incorporates total body healing through wholesome nutrition and alternative remedies. She obtained her Bachelor of Science Degree in Nutrition and Food Sciences and has recently received her Masters of Physician Assistant Studies from Lincoln Memorial University. During her clinical education, Sasha came to know many individuals suffering from chronic and debilitating conditions for which traditional medicine provided frustratingly inefficient and short-term solutions. She discovered that traditionally trained physicians were often ill-informed of the proven benefits of certain “alternative therapies” which could genuinely help her patients, and has since been dedicated to providing Florida’s residents with individualized and compassionate cannabis care. PA-C Saidi is now a practicing Villages medical marijuana Physician’s Assistant. Dr. Achilles Stachtiaris, MD, has been in practice for over 29 years. He has studied alternative medicine and has always been interested in pain relief for patients. His patient care philosophy is one of total patient care, not just treating the symptoms. He hopes that through this partnership with MMTC, he can continue to provide relief to patients as a Longwood Medical Marijuana Doctor. Dr. Marvin Vice has been in practice for over 40 years. He became interested in medical marijuana after searching for alternative ways to treat chronic pain at his practice. His patient philosophy is to be understanding, and to listen to what they have to say. He graduated from the Kansas City College of Osteopathic Medicine, and currently practices as a Villages medical marijuana doctor.